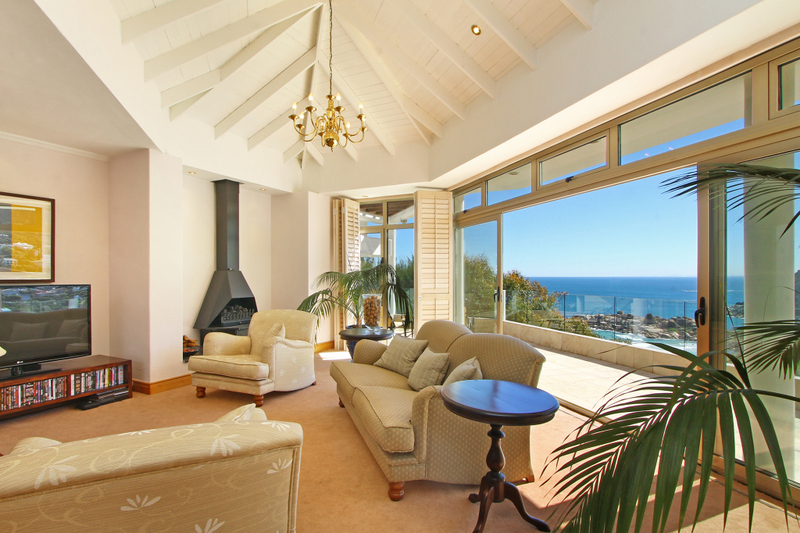 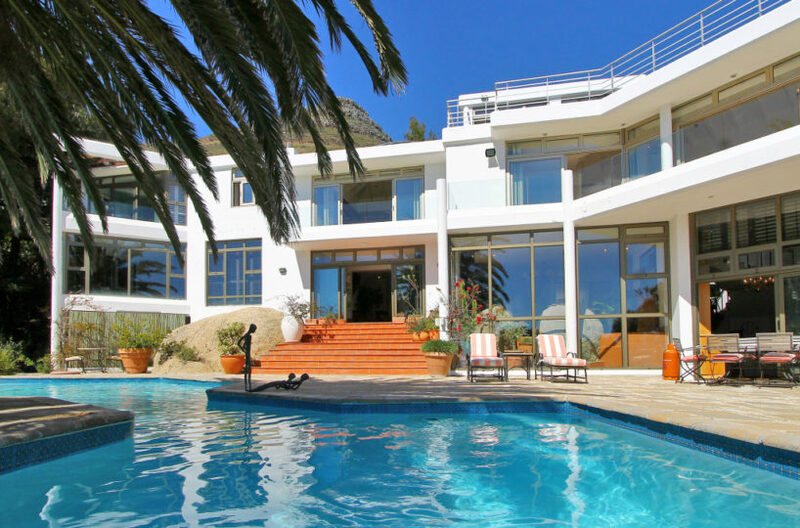 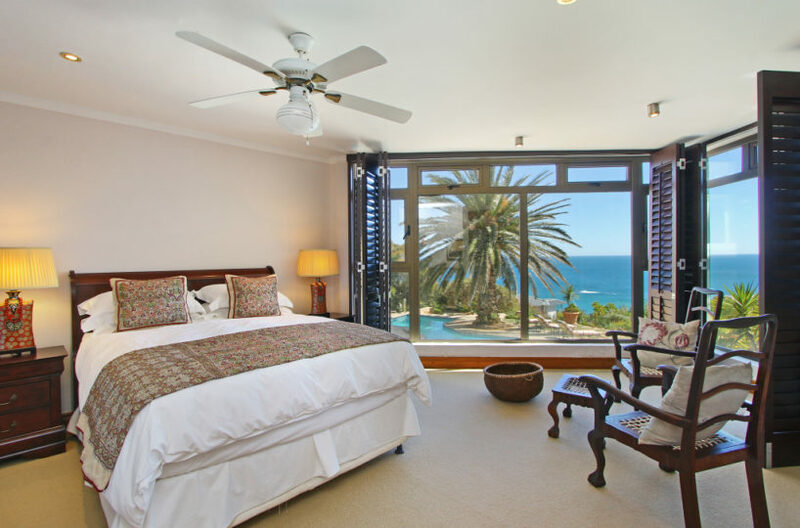 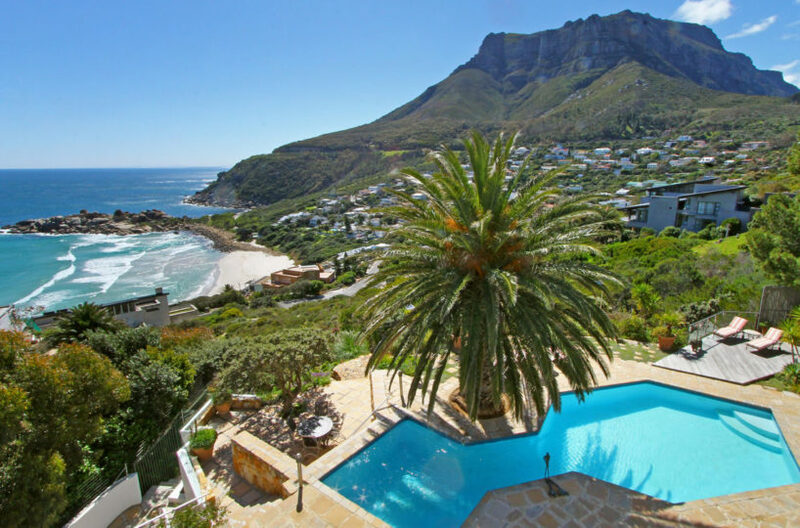 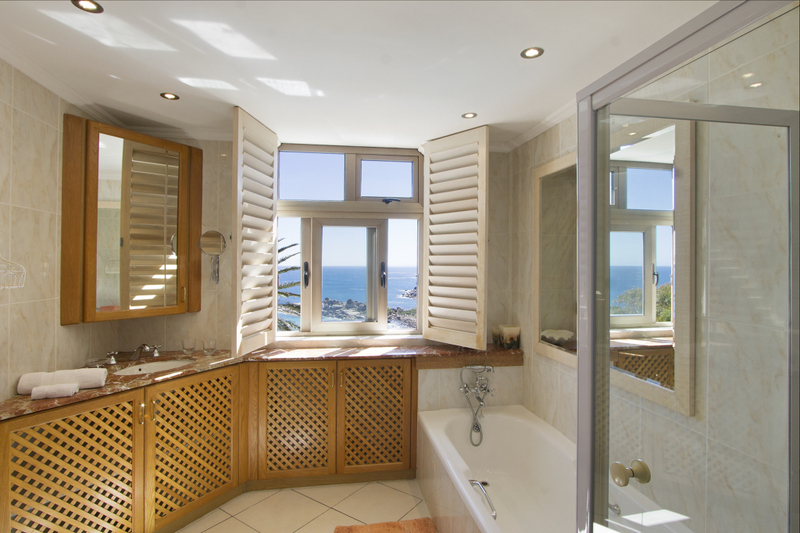 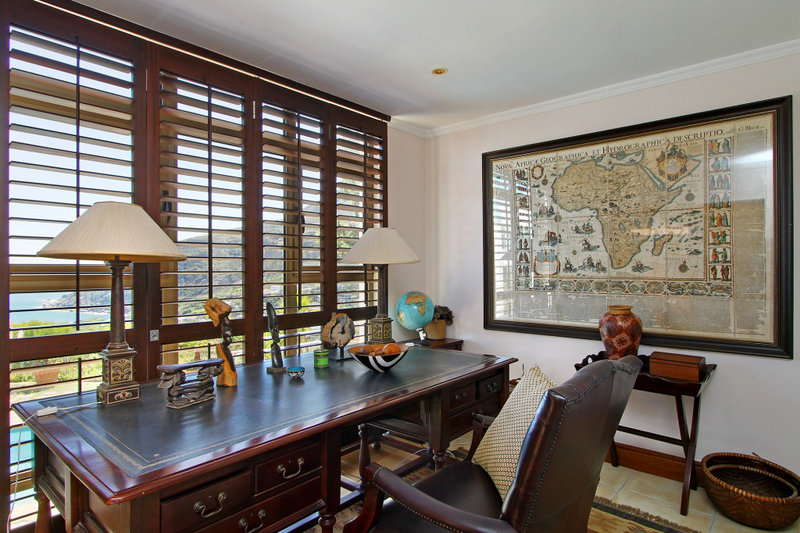 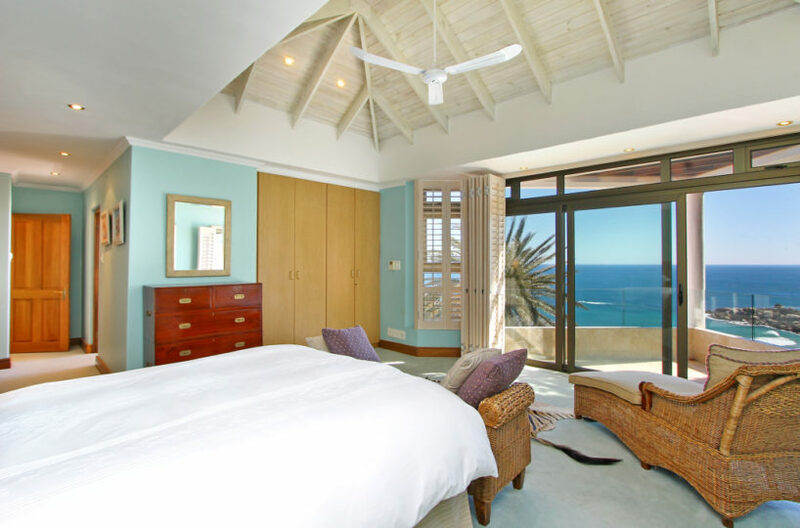 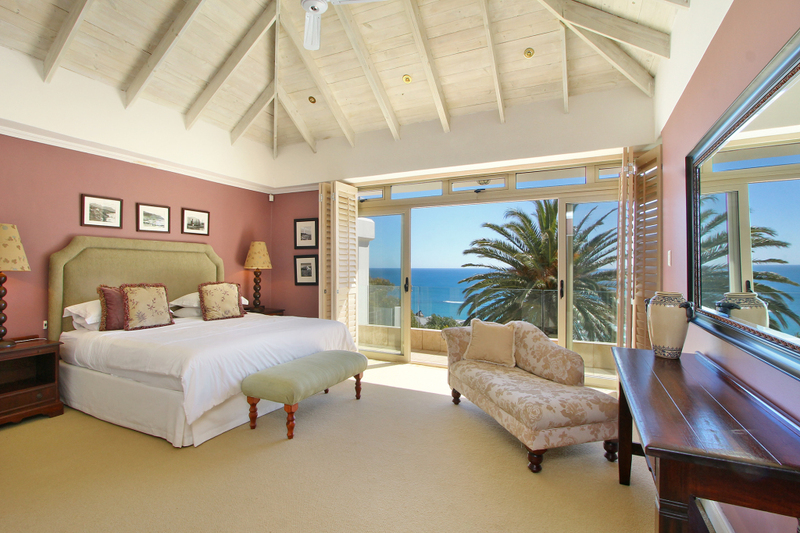 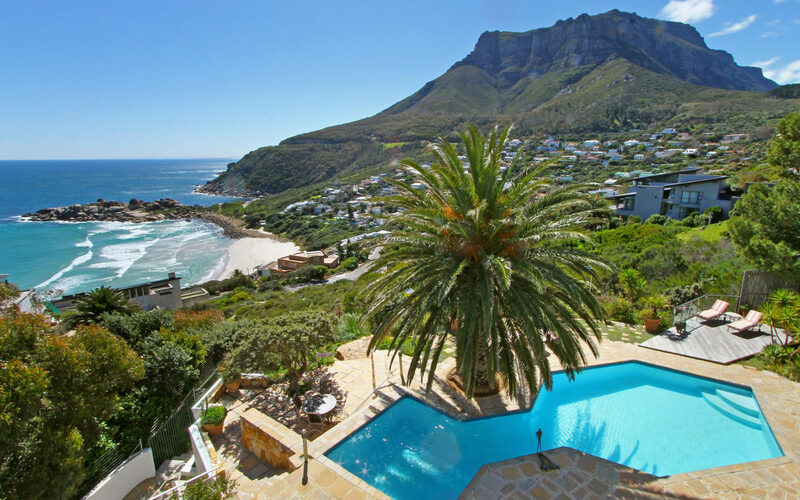 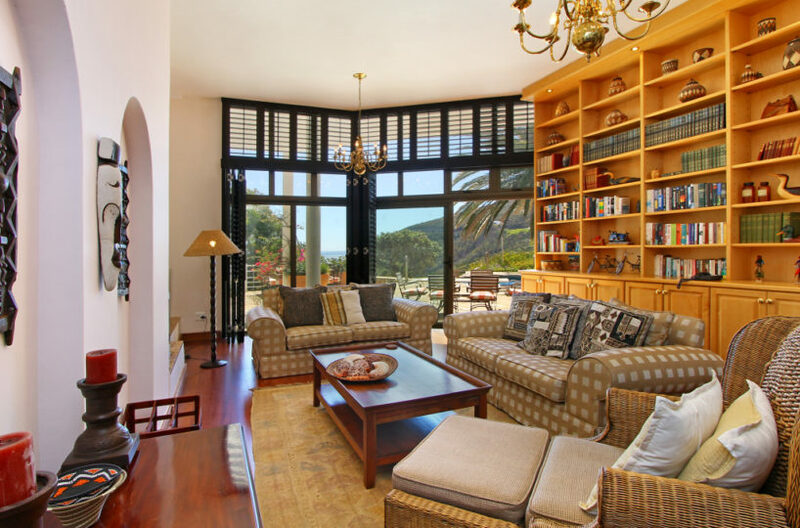 A large and comfortable home from home in which to enjoy a beach side holiday in Cape Town. Andacasa is a large 5 bedroom holiday house in Llandudno, with a private pool and spectacular sea views. 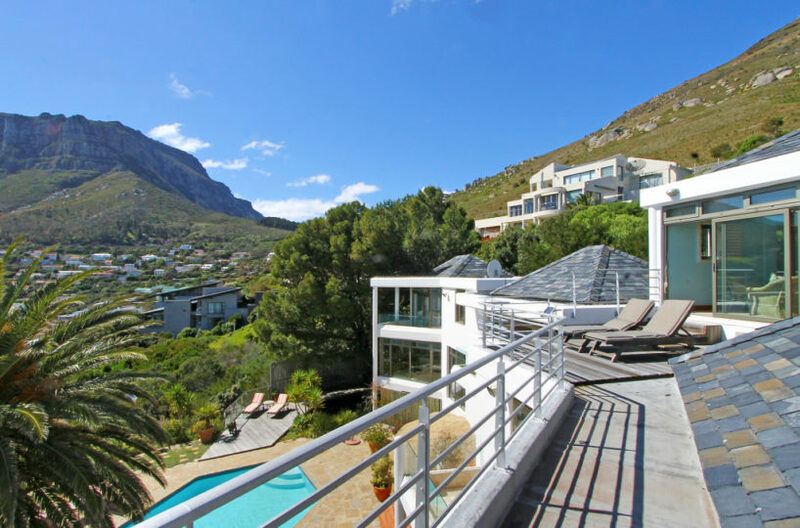 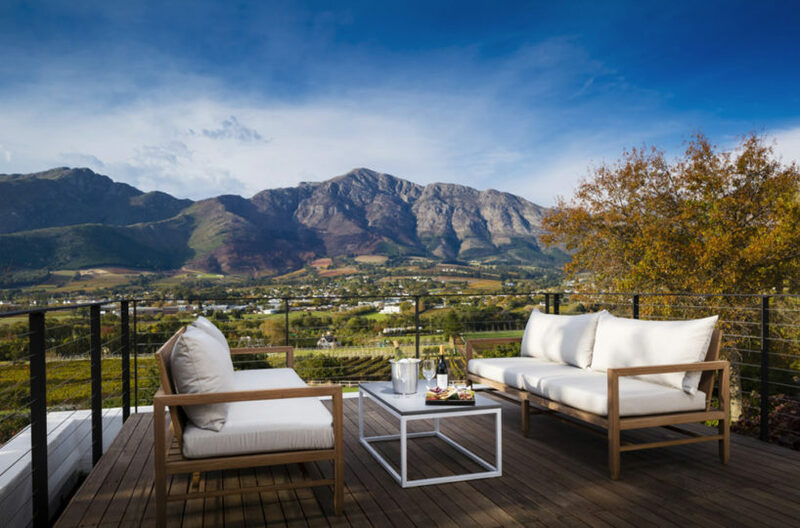 If you are looking for a holiday villa a little more cosy then the modern houses found in Cape Town, Andacasa offers a more traditional and relaxed style. 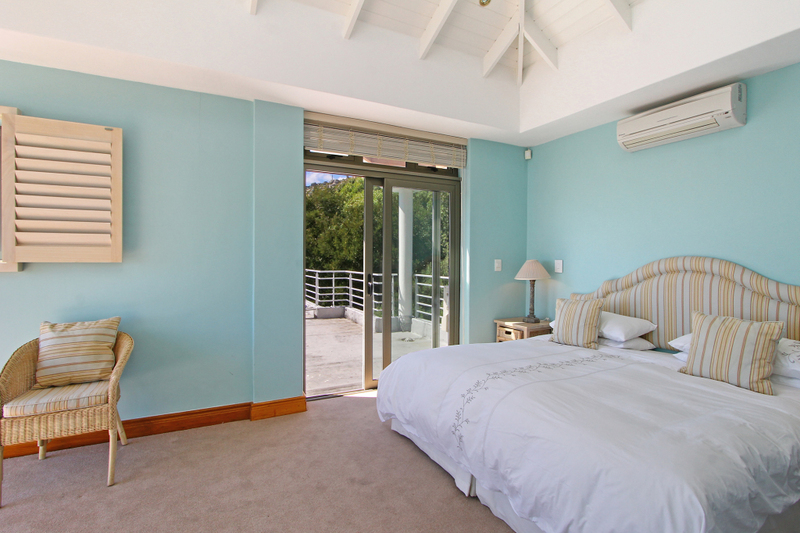 The villas 5 bedrooms are generous in size (all en-suite) and spaced well apart from each other. 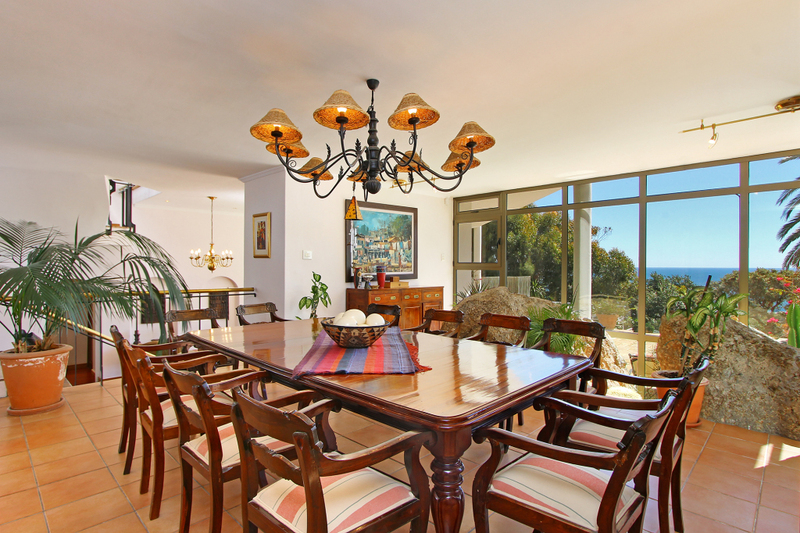 Three bedrooms enjoy sea facing balconies. 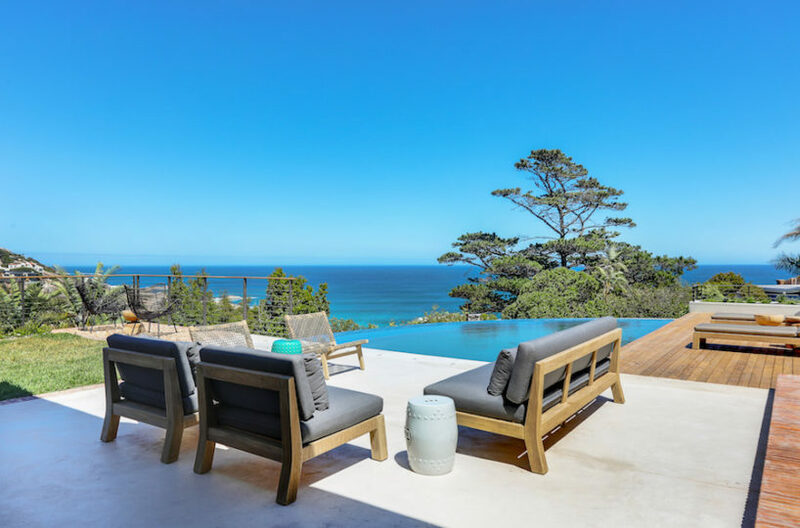 The expansive living and dining areas are on the lower two levels and open out onto a wonderful outdoor area with a large pool, koi pond and landscaped gardens. 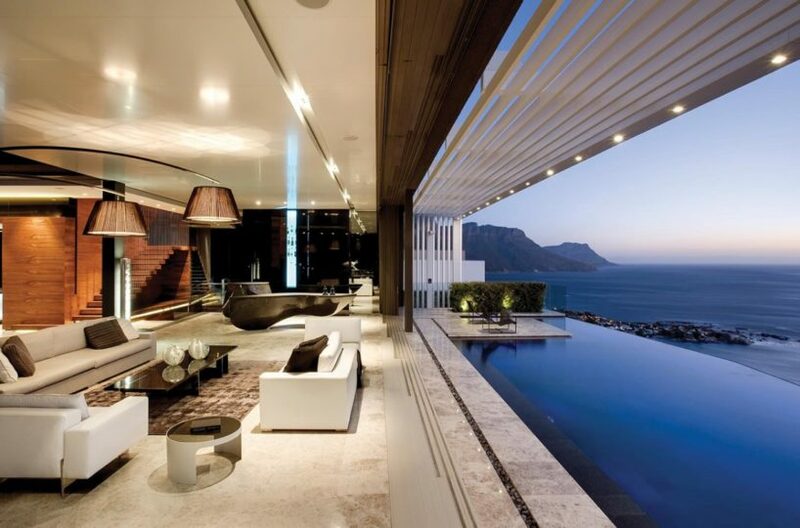 Few houses on the Atlantic Seaboard enjoy so much private space! A wonderful holiday home for a large family or friends, with lots of space, a lovely pool and a stones throw away from the gorgeous Llandudno beach.